Secretary of Iran’s Expediency Council Mohsen Rezaei denounced recent comments by new US President Donald Trump about the Islamic Republic’s test-firing of a ballistic missile, saying those more powerful than Trump had warned Iran but failed “to do anything”. 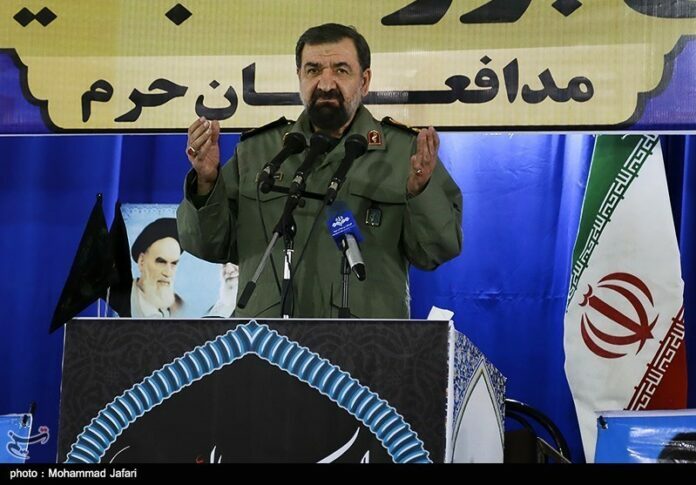 “Those who were bigger than you warned Iran and were not able to do anything (against the country),” Rezaei said in a speech on Friday, in response to recent anti-Tehran remarks by Donald Trump. Earlier, President Hassan Rouhani had also reacted to the US president’s anti-Iran moves. He said separating nations with walls and banning people from entering a country are measures expected from novice politicians. Addressing a ceremony in Tehran on Wednesday to mark the National Day of Space Technology, President Rouhani said it would be a mistake for a president to think that if he orders his country’s visa holders from several other countries banned from entering the country, he can separate human beings. The new order Donald Trump signed last Friday bars all persons from seven countries from entering the US for 90 days and suspends the US Refugee Admissions Program for 120 days. The countries impacted are Iran, Iraq, Syria, Sudan, Libya, Yemen, and Somalia. Trump’s order will also cancel the Visa Interview Waiver Program, which once allowed repeat travelers to the United States to be able to forgo an in-person interview to renew their visa. Under the new order, these travelers will now have to have in-person interviews. Trump also signed a directive to begin the construction of a wall on the border with Mexico. The wall will be stretched across the roughly 2,000-mile (3,200-kilometer) US-Mexico border.